​Fulham manager Slavisa Jokanovic has suggested that the performances of the players are to blame for his side's poor start to the Premier League season, rather than his own coaching. The Cottagers have lost their last five games in the league, and currently sit bottom of the table on goal difference, following their most recent defeat to Huddersfield Town. As a result, speculation has mounted regarding Jokanovic's future at the club. Instead of shielding his players from the blame, the 50-year-old coach, who described himself as 'fantastic' called for his team to show more effort on the pitch in order to turn their fortunes around. He said during his pre-match press conference, as quoted by ​The Independent: "They need to change the body language. They are professional. I don’t defend a corner, I don’t press any players. I don’t run into the space. I am working for them so they can do this and be available for this kind of situation. “To be honest, after the Huddersfield game, I told them: ‘Listen, I am great, I’m a fantastic coach.’ I did a fantastic job with my staff and the analysts because everything we expected, we found it during the game. "We are not showing enough effort or ambition and we must change this. If we are jogging on the field and people think we will get a present, this is the wrong way and we must show more effort. If we are confused, scared and play like kids, it’s not easy for any team." Next for ​Fulham is a tough trip to Anfield to face a ​Liverpool side that haven't tasted defeat at home in the ​Premier League since a 2-1 defeat to Crystal Palace in April 2017. 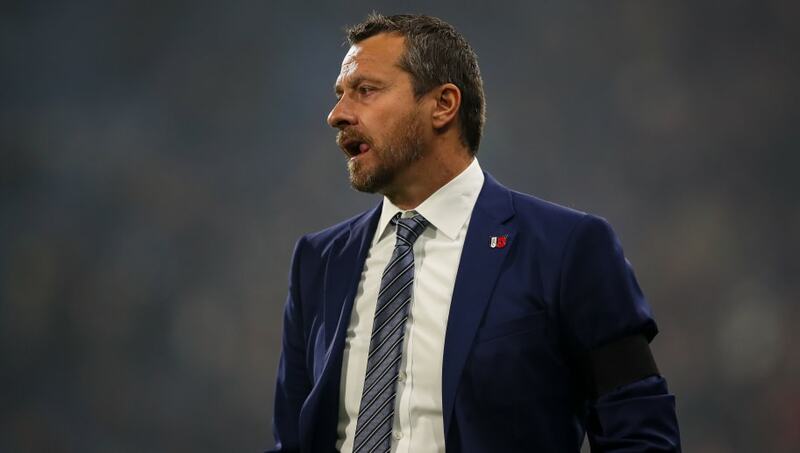 While the London club are without a league win since the end of August, Jokanovic added that he is the man that can oversee an upturn in form at Craven Cottage. He continued: "Nobody will arrive from outside of this dressing room to find the solution. Right now, the situation is in my hands and in the hands of my players. We must take our responsibility and push all together in the right direction. "I never played for any coach, I always play for myself, my family, my team-mates, the fans. This is what they must understand and they must start working in this direction. I don’t need anyone to fight for me. If they are adult people they need to fight for themselves and for their family, for the club and push strong and hard for a solution."